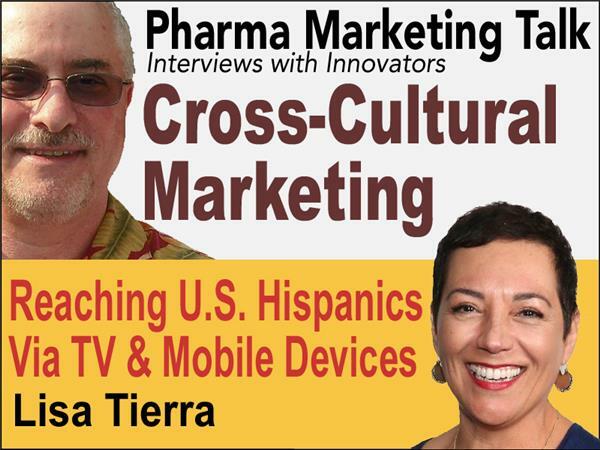 Pharmaguy interviews <b>Lisa Valtierra</b>, former Associate Director of Cross Cultural Marketing at Boehringer Ingelheim. We discuss how Boehringer Ingelheim engaged U.S. hispanics about diabetes in a culturally-relevant manner via TV, mobile, and the Web. Telemundo was the media partner and produced "Bajo El Mismo Cielo"